A very interesting interview with Germany’s foreign aid minister Gerd Müller (not to be confused with Germany’s iconic soccer player of the same name). Some very progressive discourse under the impression of the refugee crisis. Viel zu lange hat Europa den afrikanischen Kontinent mit ausgebeutet. Wir Europäer haben wertvolle Ressourcen zu Niedrigstpreisen bekommen und den Arbeitskräften Sklavenlöhne gezahlt. Auch auf dieser Ausbeutung gründen wir in Europa unseren Wohlstand. Nun wundern wir uns, wenn die Menschen in Afrika keine Chancen mehr für sich sehen und zu uns kommen wollen. Wir senden ihnen ja auch täglich das Signal von Reichtum. It remains to be seen if he follows up with any actual change in policy. So far, the current German government has not displayed anything even approaching “innovation” in its relationship with African states. Germany is not exactly the most prolific investor in Africa’s resource sector. But as an export oriented economy with a solid reputation for world-class mechanical engineering, engine construction and specialised tooling, a considerable share of Africa’s mineral exports wind up in Germany somewhere along their value chain. Additionally, Germany has considerable influence on European Union policy, making the country an important actor in the use of Africa’s resources. While Germany was a mining country once, today the only “hard” commodity produced on any scale is coal (and even this fuel is imported to satisfy demand). Especially Germany’s once abundant mineral reserves are completely exhausted. Especially over the last years, with world market prices sky high and exporters like China artificially curbing supply, this has resulted in demands from Germany’s industry for political support for securing access to essential mineral resources. The government’s answer is its 2010 Resource Strategy (pdf, German), which was designed with considerable input from industry interest groups. As official policy from one of the world’s most powerful governments, it is worth looking at possible consequences for resource politics in Africa. Two core objectives of the strategy are to diversify Germany’s resource sources and secure favourable trade agreements. While the focus on diversification is positive for Africa’s economies, as Germany has traditionally stronger links to resource producers in Latin America, the emphasis on trade is not. Germany has a long history of pushing the free trade agenda and supports this policy strongly on EU level. Free Trade Agreements (FTA) have been struck with many developing countries on a bilateral level and the German government has also used organisations like the WTO to further this goal. Of course different opinions exist on the consequences of FTA’s, but I’m firmly in the camp that sees little benefit for developing countries. To often, FTA’s lock countries into unfavourable arrangements with Western companies. Especially clauses strengthening investor’s rights, giving them immunity from changes of law that would impact their investment negatively, often undermine efforts of developing countries to shape their resource sectors to be more profitable and less environmentally damaging. African countries should be very careful when entering into these agreements, ideally avoiding them completely. 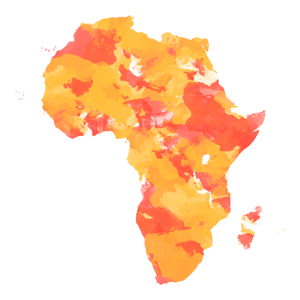 FTA’s could also limit African country’s efforts to demand a higher local content. This dedication to securing human rights in the resource sector is probably more lip service than anything else. As much was made clear in a discussion with government officials about this topic during a workshop on the German resource strategy. The government representative made it clear that human rights, environmental protection and corruption are “within the domain of the host country” and not the responsibility of the investing country (Germany). This low level of dedication is deplorable, because Germany has considerable power to positively influence whole value chains, if it chooses to do so. A good example is the development of a certification system for “conflict minerals” from the DR Congo under the leadership of Germany’s ministry for economic corporation. Here Germany has successfully developed a model that could in theory guarantee social and ecological standards in mineral production (while of course being ineffective in its stated purpose – undermining the financing armed groups). Together with strong EU regulations, this could fundamentally change industry practice in a positive way, but so far Germany doesn’t seem to be interested in playing a constructive role. An interesting test will be the government’s position to the EU counterpart of the Dodd-Frank act regulating the import of conflict minerals. More on this in a later post. It should also be noted that the German Government didn’t go out of its way to get input from African (or any other) resource exporting countries or civil society. The only interest group consistently involved in the process was the German industry. This is bad for virtually everybody involved. African governments weren’t able to give input on how to design the policy to make it favourable to them, increasing the likelihood that it would actually pay of for German importers; African and German civil society weren’t able to raise social or environmental concerns, increasing possible harm done to African countries in the long run and the German government lost out on the possibility to offset its limited direct influence on African resource markets through innovative policy making. I don’t want to go into too much detail on the content of these demands, but I think that their adoption would be in the interest of African countries as well. Reduced resource use in Western countries would decrease environmental damages in exporting countries, without necessarily limiting long-term earnings from resources. Strong due diligence laws and more transparency in the shaping of resource politics in some of the world’s leading consumer markets would have tremendous positive effects on issues like corruption and human rights violations linked to mining. African governments and civil society should engage intensively with policies like the German resource strategy, because they can have tremendous repercussions on the other side of the world – it depends on their design, if these repercussions end up being good or bad for the people facing them.